I love this stuff! Probably because I know how good beetroot is for you. But this soup has other greatness in it too: onion, leek, carrot and cabbage. They’re all powerful anti-oxidant containing veggies. 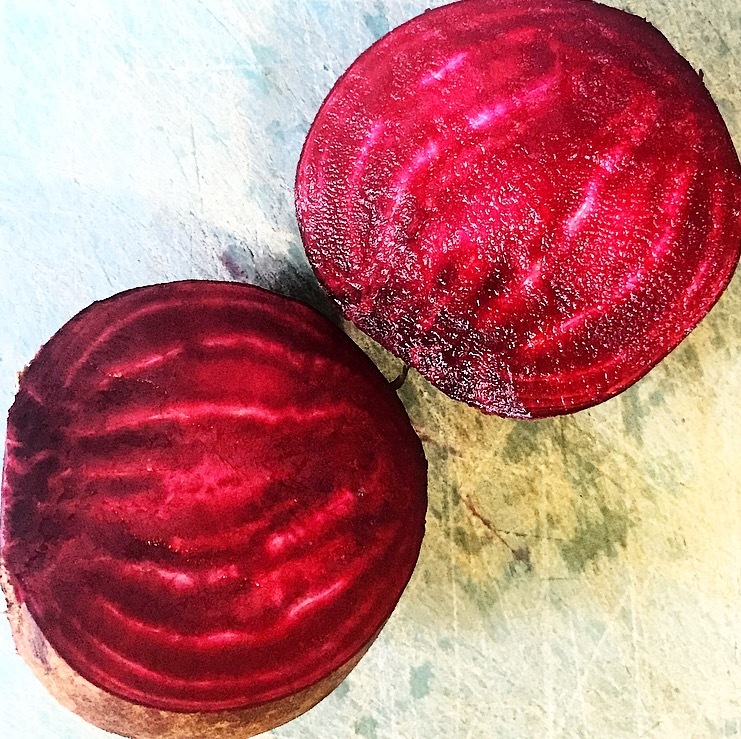 I particularly like veggies of the allium (onion & leek) and cruciferous families (cabbage) because they help to remove heavy metals from our bods (‘de-toxify’ us) but the old carrot’s beta-carotene (for vitamin A production) content makes it a valuable ingredient too. Borscht is an Eastern European (think Poland, Russia) dish and traditionally includes meat; usually beef or veal but sometimes pork. I prefer to make mine meat-free, though. But when I say meat-free, I mean there’s no chunks of animal flesh in it. To clarify, I like to use a beef stock. But all you veggos out there rest easy… I have made it on a veggie stock base a few times and it’s still just as delicious. 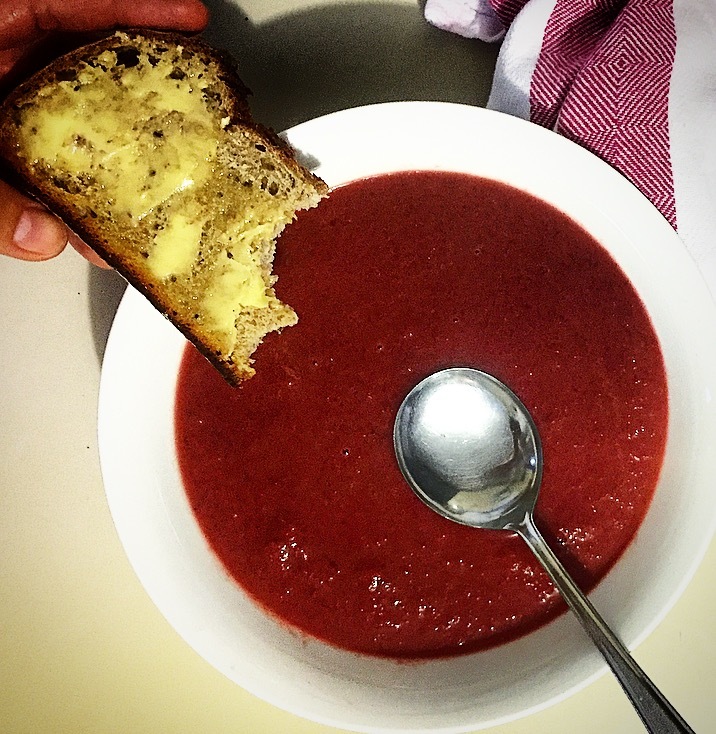 Soups are pretty easy meals to make but when you have a Thermomix they’re even easier again. I’m providing the recipe for both methods, but the Thermomix will yield less because, unless you’re lucky enough to own the newest model (TM51) it simply doesn’t have the capacity to safely hold the same quantities as a large saucepan can. Placing the onion, celery and leek in the bowl, chop for 5 seconds on Speed 5 then add the EVOO and cook for 4 minutes on Varoma, Speed 1.5. Add the carrot, beetroot and cabbage and chop for a further 5 seconds at Speed 5. Add the remaining ingredients and set to cook for 22 minutes at 100ºC, Speed 1-1.5. Finally, set to 1 min 30 seconds and slowly accelerate to Speed 9.